Connie Yee is the Assistant Auditor-Controller responsible for overseeing the Accounting, Property Tax Apportionment, Property Tax Services, and Shared Services Divisions of the Auditor-Controller. Ms. Yee has a bachelor’s degree in accounting and a master’s in business administration. She is a licensed Certified Public Accountant. 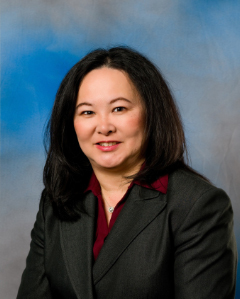 Ms. Yee has over 25 years of experience at the County Auditor-Controller. She oversees the operations of the County’s central accounting and property tax systems. She ensures that County’s accounting and financial activities are reported timely and accurately.